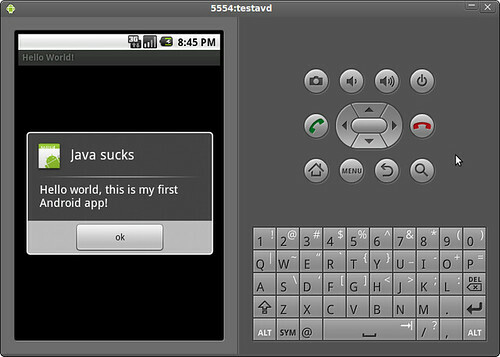 Yay, this is my first Android app! Java is really slow especially if you use Eclipse for development. I tried this on an amd64 machine with 2GB of RAM but this simple app still crawls to a halt. Anyway, I wish I can try this on a real phone.